7 Should you buy a KaiOS phone? There's another mobile operating system on the rise, but this one is special for a few reasons. 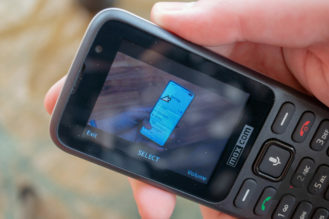 First, it's not necessarily trying to unseat iOS and Android — it's designed to run on feature phones. It also has received significant investment from Google, and in most cases, Assistant and other Google applications are preinstalled. The operating system in question is 'KaiOS,' and it's already shipping on a handful of phones, including the 4G version of the Nokia 8810 and the Jio JioPhone. 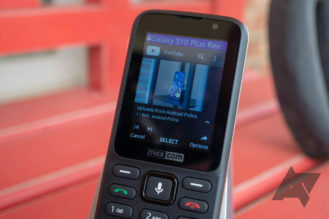 I've been using KaiOS for a while on the Maxcom MK241, and while it's definitely better than the average feature phone, it still has rough edges. Inexpensive hardware KaiOS is less demanding than Android, and (carrier-locked) phones running the OS have been sold for as low as $22. Simple UI The interface is clean and simple, following the same paradigm established with early-2000s flip phones. 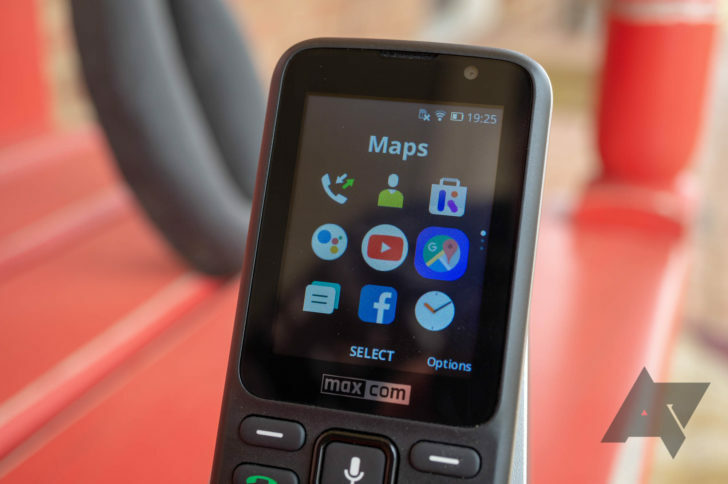 Smart features Some smartphone features have made their way to KaiOS, including a full-featured web browser and support for VoLTE. 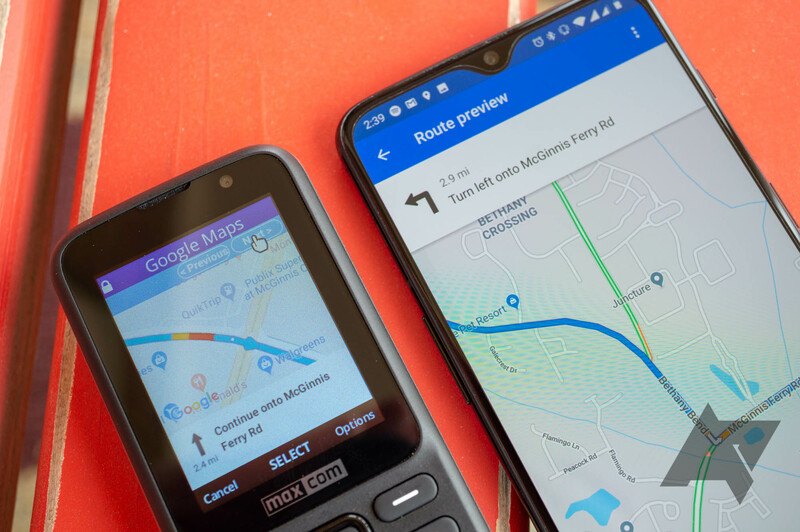 Assistant Phones running newer versions of KaiOS have Google Assistant built-in. Apps The library of third-party apps is extremely limited, and Google's own applications are just links to the mobile web versions. Availability The only KaiOS phones worth buying are mostly available in Europe and Asia. 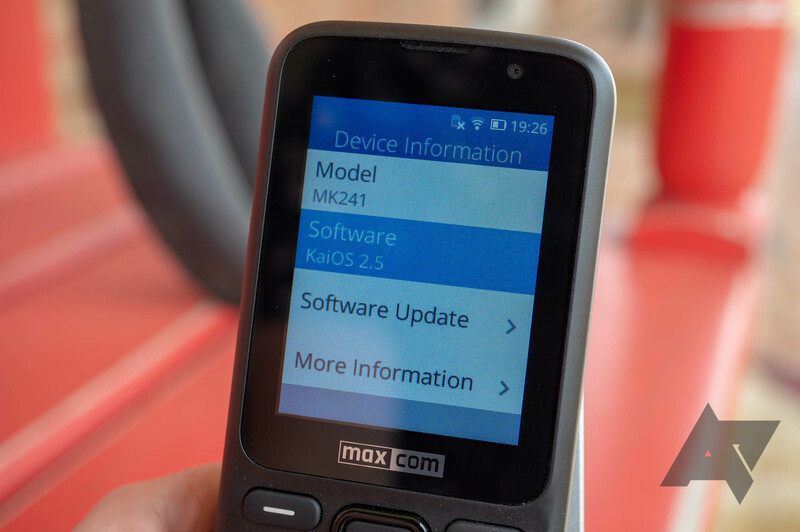 The interface of KaiOS is extremely similar to any other feature phone built in the past 15 years or so. A center directional pad and two shortcut buttons are used for navigation, with text at the bottom of the screen indicating what the navigation keys currently do. The End Call key doubles as a back button. The 'home screen' has a clock and... not much else. The center key opens the app drawer, the left action button opens your notifications (KaiOS calls them alerts), and the right action key opens the Shortcuts panel. This is similar to the quick settings toggles on Android, with easy access to device volume, screen brightness, the flashlight, and so on. While this may look like a phone from 2006 upon first inspection, you'll find sprinkles of smartphone-era features throughout the OS. There's not only Wi-Fi support, but also a hotspot mode (if your carrier allows it). Accessibility features, including a screen reader, are present. You can even log into a KaiOS account to track and disable your phone, in the event it's stolen. The whole interface is fairly simple to understand, and only takes a few minutes to get the hang of. However, I found navigation to be somewhat of a pain, thanks to the ridiculously-small directional pad on my Maxcom unit — accidental clicks were a common occurrence. That's obviously not a software issue, but still worth mentioning. The most interesting aspect of KaiOS to me, and the main reason I wanted to try the system out, is the built-in Google Assistant. It can be opened from the app tray or by holding down on the center directional button (which conveniently has a microphone icon on it). This Assistant is a bit different than the one you and I are used to. It can't log into a Google account, manage smart home devices, control a local Cast device, create alarms, set reminders, or play podcasts. I also found that some commands didn't work as expected; when I asked for restaurants around me, the Assistant said "I found some restaurants near you," but nothing actually appeared on the screen. However, most essential features are still present. 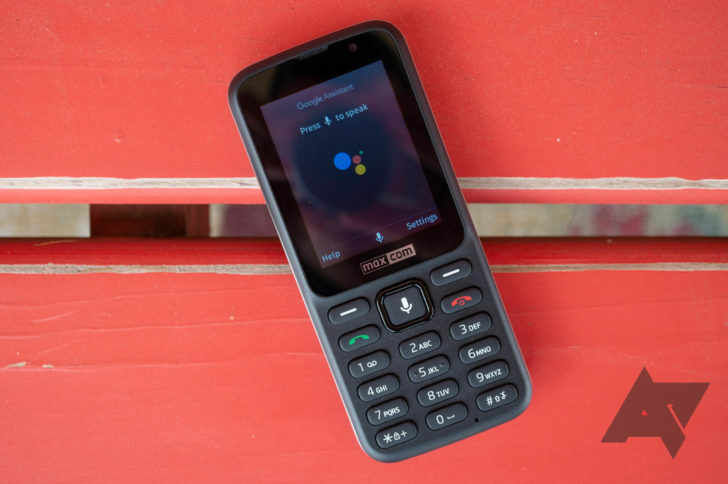 Assistant on KaiOS can answer general questions, send a text to someone, start a call, play YouTube videos, obtain weather information, open local applications, turn the flashlight on or off, and more. Voice detection is just as good as Assistant on any Android phone, since the language processing is all happening server-side. For most intents and purposes, this is the Google Assistant we've known and (mostly) loved for the past three years — but on a device significantly cheaper than the average smartphone. Even in this limited state, it makes KaiOS far more attractive, and it's bound to keep improving. Google confirmed last month that support for Assistant Actions is on the way. The preinstalled apps on KaiOS are similar to what you'd get on any feature phone. My unit has Contacts, Messages, Clock, Camera, Calculator, an FM radio, music and video players, and a currency converter. There are also a few applications that are more common on smartphones, like a file manager, a voice recorder, and a full-featured web browser. The web browser currently uses Mozilla's Gecko engine (since KaiOS is based on Firefox OS), but given Google's continued investment and recent changes in Chromium, the browser will probably be Chrome soon. One area where I was disappointed was in the Google applications bundled with KaiOS. Google Search, YouTube, and Google Maps are preinstalled, but they're all just links to the mobile web versions of those services. None of them work well with the phone's directional pad, and all of them have a fixed address bar always at the top of the screen. This might change as time goes on, especially since Google already confirmed it is working on a more native version of YouTube for KaiOS. But for now, Assistant is the only native app Google has made for the platform. The app store is about what you would expect for a platform as young (and niche) as KaiOS. 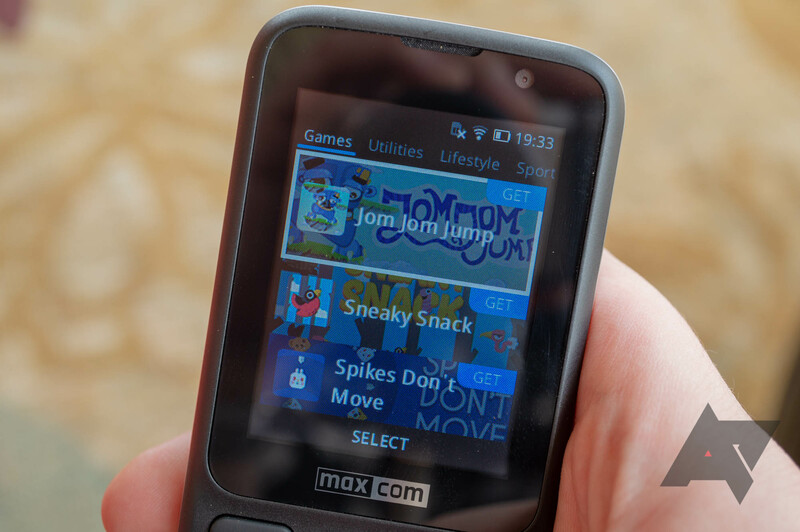 There are a number of simple games available (some ported from Android), and a handful of utility apps. Even applications that should definitely be available in countries KaiOS is targeting, like WhatsApp, are missing. One phrase you've probably heard thrown around is "the next billion." This refers to the vast number of people in developing countries worldwide who are just now receiving internet access for the first time, or will get access in the coming years. It's a massive potential market, and one that Google wants to capture. Google's main approach in developing countries, at least when it comes to phones, is Android Go Edition. We've covered Android Go frequently since it was first announced in 2017, but the platform in its current state is somewhat terrible. Even with performance optimizations and lighter stock apps, 1GB of RAM just isn't enough for Android these days. It doesn't help that in most markets, you can buy more powerful phones running regular Android for roughly the same prices as Go devices. KaiOS is another component of Google's strategy for developing countries. 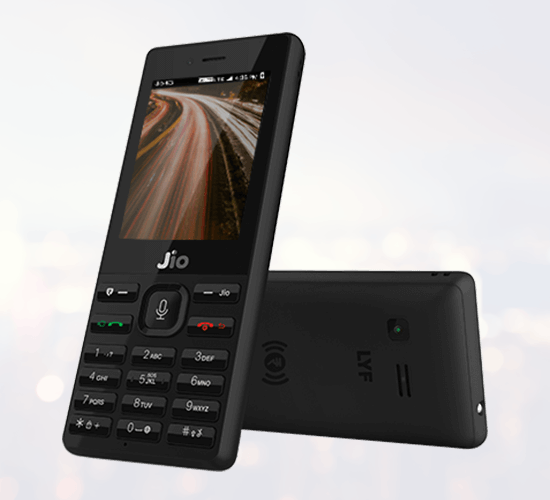 It can run on even cheaper hardware than Android Go Edition — the Jio Phone launched last year in India for around $22 (Rs. 1,500) — but still includes some benefits previously reserved for smartphones. It has a full-featured web browser, a voice assistant, Wi-Fi connectivity, and VoLTE. Some models even support NFC and dual-SIM. Phones running KaiOS will likely be millions of people's first introduction to the internet, and of course, those people will be nudged onto Google's platforms and services. 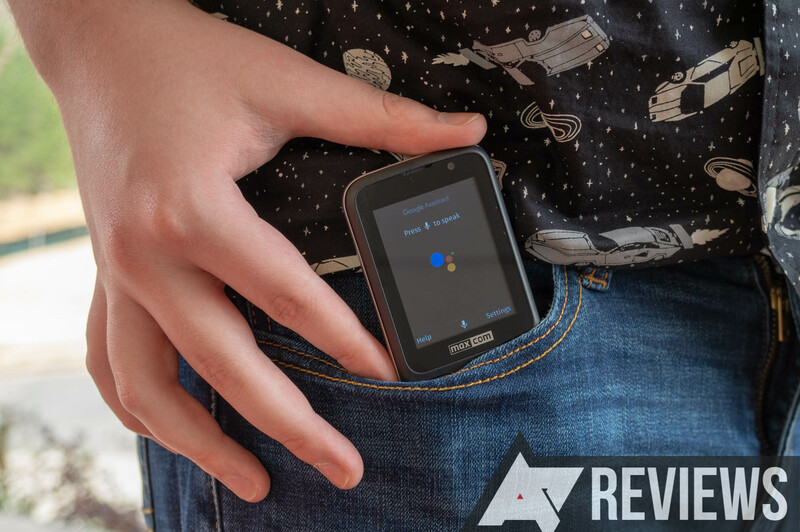 Should you buy a KaiOS phone? It depends. Your experience with KaiOS will vary greatly depending on what device you get, and what country you live in. Most phones running the operating system are only sold in Asia and/or Europe, and some of them don't have Google Assistant. There's a mostly-complete list of devices here. Only a handful of phones running KaiOS are available in the United States, but as PCMag points out, they are all terrible. Most are running old versions of the OS, without Google Assistant and other features. I originally bought an unlocked Alcatel Go Flip to write this review, but it didn't have Assistant or the KaiOS app store. 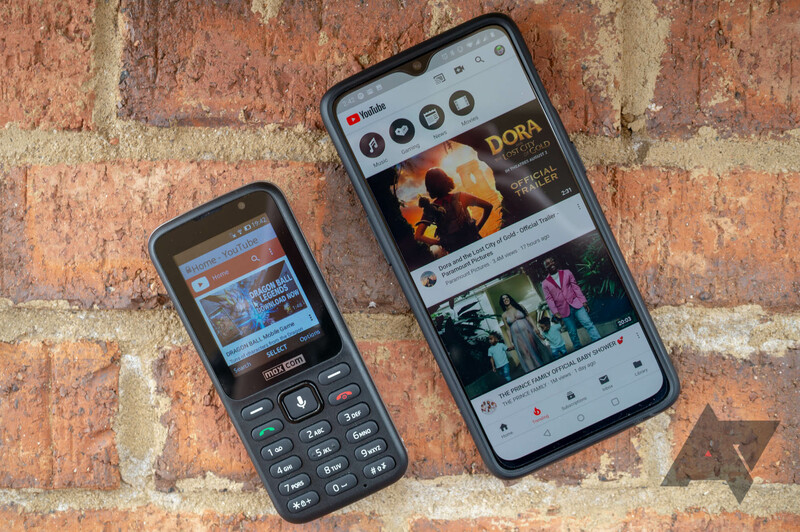 Imported Nokia 8810 4G phones are available through sites like eBay, but at fairly high prices. Even if you can get your hands on a decent phone, there are still a lot of rough edges. Most people can't do without internet-based messaging services like WhatsApp, Telegram, or Skype. The few applications that are available, like Google's, are for the most part simple web apps. That being said, KaiOS is still a good option if you don't want a smartphone, or if you're buying a basic phone for a family member. The Assistant-less Alcatel device I initially bought is going to my grandmother, to replace her failing AT&T flip phone. I look forward to how KaiOS progresses in the coming months and years ahead. It's already succeeding where Android Go is faltering — making mobile internet access cheaper and more accessible than ever before.